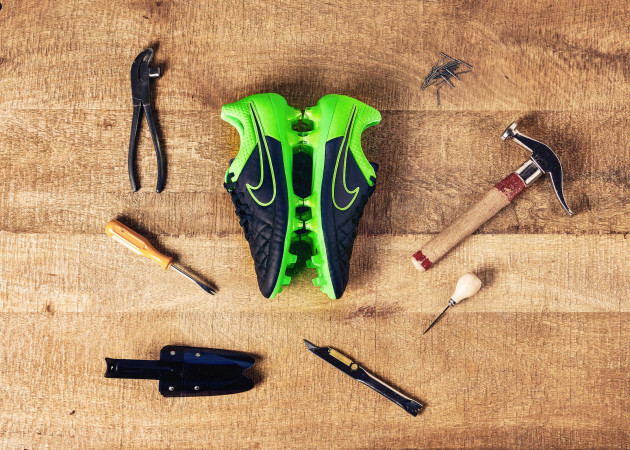 Nike has gone old school with their new tech. That’s right, Nike is bringing a flavor from the good ‘ol days to the current silos they offer in the Hypervenom, Magista, Mercurial, and Tiempo. 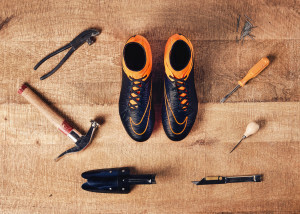 As far as the Tech Craft name goes, Nike had to reengineer some of their most popular boots to get the leather incorporated. They combine the technologies of Flyknit with the familiarity of leather. This isn’t a complete reinvention. The silos still have their each unique shape, design, and color scheme from the Lightning Storm Pack. The designers did have a task in fusing the lightweight leather into the upper, while also creating a balance of oils to prevent the leather from stiffening and becoming a hindrance. The lightweight black leather is mostly on the front three quarters of the shoe, where you are most likely to contact the ball. The leather is very thin, which still allows to you get a good feel of the ball as you are making those crisp passes all over the pitch. The soft touch and classic appeal of leather has been around for a long time, and now Nike is bringing that experience up to speed with these boots. 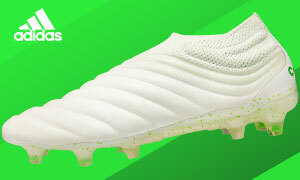 The rest of the boots are not really changed much from the versions we have seen recently. They still have the same outsole, as well as the having the same laces. You still get all of the same beautiful Nike Swoosh logos, which have become a favorite of boot lovers. 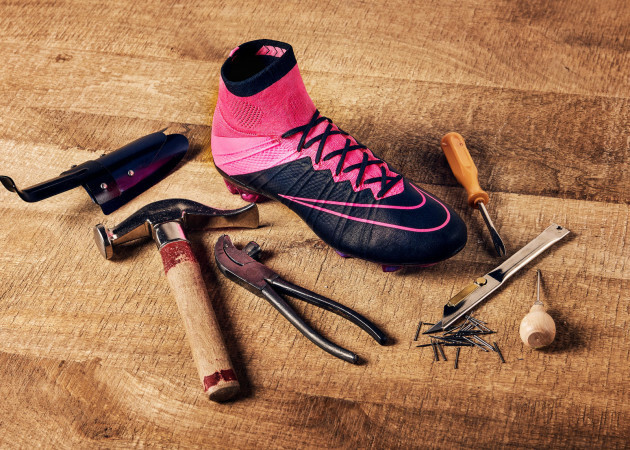 The Hypervenom, Magista, and Mercurial lines also feature the Dynamic Fit collar, which has gained plenty of attention. 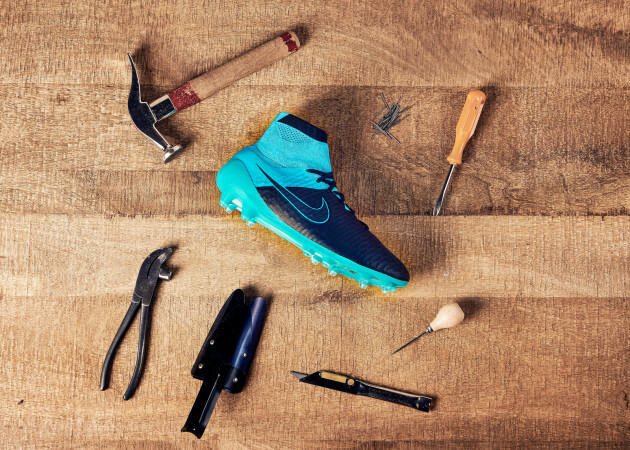 The new season is upon us, and what better way to start than with a pair of boots from the Nike Tech Craft Pack. 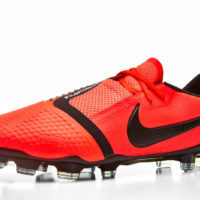 You will see players like Edinson Cavani, Alexis Sanchez, and Blaise Matuidi wearing these shoes in the fall. These boots are just the right combination of blast from the past and new technology. We give two big thumbs up to Nike for this release. These boots will be available to everyone on August 13th.